Previous post: What kind of gain do the Signal Sticks have? Next post: Happy World Amateur Radio day! Hello, I own a handheld and want to upgrade antenna . I’m looking at purchasing from you, as I’m afraid of ordering from a online site and possibly getting something fake or knock off. 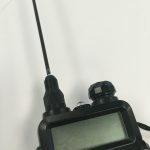 What antenna do I order from you for my (Baofeng UV5RTP). 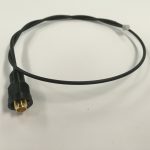 All baofengs that I’m aware of (including that one) require an antenna with an SMA-Female connector. I’m a ham radio newbie – my kids just bought me a Yaesu VX-3 as my first transceiver after I passed the test for my license. The VX-3 is very small and the antenna that comes with it is basically worthless here, considering how far I am from the nearest repeater. So I’m just making sure the SMA-Male is the correct one for this transceiver. Thanks! Yaesu radios will all require either BNC or SMA-Male. 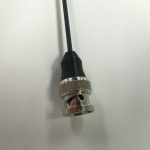 If you have a yaesu radio and the antenna connector is small with threads then it’s SMA, if it is larger with a little knob on each side then it’s BNC. 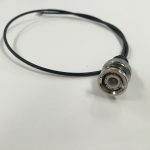 Perhaps part of the problem is that your ordering page just says “Connector type” without saying whether you mean the type of connector that’s on the radio or the type we need to have on the antenna. My guess was the type that I want the antenna to have, but I still figured I should go look around on the site to find something that said for sure. Also, a chart of radio models and which connector they need the antenna to have would probably come in real handy. I noticed that once I select a connector type and a color it gives me more information, information which would have been MUCH more helpful before I had to choose a connector type, but even that information seems incorrect. If I order an antenna with an SMA-F connector, I’m expecting to pair it up with a radio with an SMA-M connector. Good catch on the typo; I’ve corrected it. A list of radios and which connector they need is a great idea, I just need to figure out how to do it with WordPress. I prefer to spend as little time as I need to working on antennas and this website so that I can focus on improving HamStudy.org in my “spare time” =] Thanks for the feedback, and we’ll keep working on improving things here as well! We don’t have any dealers, we make and sell them ourselves. I haven’t yet found an address that Paypal would accept that I couldn’t ship to using the US postal service, though. I have a Baofeng UV-82 HP HT. 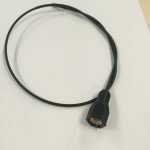 I am looking for a pigtail with a SO-239 connector on one end and an SMA-Female on the other that is 3-foot-long. Do have one I can purchase and what is the cost? I Rene rly ordered a SMA-male for my Kenwood TH-D74A. It works amazing. I’d like to use it on my Icom ID-51a, however the fitting is to large and does not fit the space between the GPS area and does not screw down very far. That is odd; could you send me a picture to support@signalstuff.com? I have an Icom ID-51a myself and I use these antennas with it all the time. Signal Sticks will work on any transmitter or receiver in the frequencies that they are designed for (144-148Mhz, 430-448mhz-ish). They may work for other frequencies but we make no guarantees. For a scanner they will work but will receive some frequencies much better than others. I can’t tell you if it will be better than your stock antenna since a) I know nothing about the stock antenna and b) you’d really just have to try it to find out. I’m in Japan where our 70cm frequencies are only from 430-440MHz and 2m is 144-146HMz. Would any adjustment need to be made to the antenna to get it to work better in that range, or would this antenna have me covered? It should be just fine as it is; both of those ranges are within the US frequency allocation that they are tuned for and I have had no issue using those frequencies with these antennas. I have a TYT MD-380. I ordered two antennas from you, one was for a older Yaseu FT-530 and other one was for my TYT MD-380. When I received the antennas one was Right and One Was Wrong. The one I received with the SMA connector was wrong. I though I had ordered for the MD-380 a SMA Male, but what I got was a female. The site does not do a very good job of showing which type is which. Can I exchange the SMA-F for a SMA-M? Our local radio shack has closed up and not sure where I could find a adaptor for SMA-M to SMA-M to fit the antenna. I will gladly return the one I am unable to use for the correct one. The good news is that we’re happy to exchange the antenna for a different connector. Our general policy is that if it was our mistake we’ll pay return shipping, if it was your mistake we ask that you pay return shipping (it can be shipped from anywhere in the US for about $2.61); we will ship your replacement back to you as quickly as we can. To arrange to send your antenna back just contact us at sales@signalstuff.com and we’ll get you squared away. I have a Yaesu VX-6. I should be ordering an SMA Male correct. Would the BNC connector work with a Uniden BC75XLT Scanner? It looks to me like that uses a standard BNC connector, so I imagine it will work just fine. I can’t guarantee which frequencies it will receive well on, but I expect it’d probably work fine most anywhere the antenna it comes with does and probably better in most cases. So am I reading your comment correctly that you would recommend sticking with the OEM rubber duck then? I’ve not used that scanner nor do I know much about it, but most likely a signal stick will work at least as well as the stock antenna on all frequencies and much better on some frequencies (in particular the 2m and 70cm ham bands). Sitting hamradio in romania (YO3FYO) I want to pay by pay pal. Can I pay you a Pay Pal to you? Just order through this site — we accept stripe and PayPal. The Hamradio band in Romania is 144 – 146. Can you customize the antenna for the 145 Mhz frequency? The Hamradio band in Romania is 144 – 146. Can you customize the 145 Mhz antenna? I would like the SWR at 145 Mhz to be less than 2. My personal conclusion is that I should be able to order, buy antennas for both 144- 146 and 144-148 radio beacons with a minimum SWR center for each band. Sincerely YO3FYO. If you can not bring a small SWR at 145 Mhz I will point to another, SRH77CA. Other money of other quality. Best of YO3FYO, 73! That will not satisfy his personal conclusion. With all the business you’re doing in Romania, you should start a new product line with with the SWR optimized at 145. I build custom cars designed to be street legal in the US. Suddenly, I realize that I should be making specific models designed to meet the standards of each and every country. Well, at least that is my personal conclusion, anyway. Well, if you want to understand what a company does you need to understand why they do it; thus, if you want to know how likely we are to do something you first need to understand that Signal Stuff is not an antenna company. Sure, we make good antennas, and yes we will continue to make good antennas and we will support them, etc etc… but we aren’t an antenna company. Now, in order to properly support those endeavors we do need to provide good service for our antennas; they need to work well, they need to be worth purchasing, and we need to make sure we show the same level of commitment to our antenna users that we have to our other users… but does it actually make sense to make custom antennas for a specific country? No, not really. I realize that’s going to frustrate some people, but it would work directly counter to our goals — I’d have to spend more time designing and building antennas and less time building HamStudy.org. 73 to you and yours! I have a beautiful l’il Wouxun KG-UV6X Dual Band VHF/UHF 200 Channel Handheld Commercial Radio that I just got. I take it that they need a Female connected antenna, if I’m reading things in the manual correctly? Based on a few minutes of google searches I think you’re correct; however, all you really need to do is look at the connector on the radio. If the center conductor is a pin (Male) then you need an SMA-Female antenna. If it’s a socket (female) then you need an SMA-Male antenna. I’m late to the party, but am pretty sure the KG-UV6X has SMA-Female on the radio and thus takes an SMA-Male antenna. For example, https://www.universal-radio.com/catalog/ht/3006.html says the radio comes with a “flexible antenna with conventional male SMA plug”. BTW another radio that has the Baofeng-style SMA-Male on the radio and SMA-Female on the antenna is the AnyTone AT-D868UV dual-band DMR/analog radio. 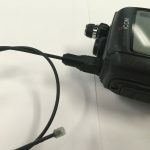 You may well be right about the KG-UV6X; Wouxun radios are a bit tricky since some need SMA-M and some SMA-F. I’ve tried to put as many as I could on the product pages. Mode (digital or analog) should make no difference; the question is whether the frequency range is a good match. If you’re going mono-band UHF these will not help as much as they would for a VHF radio — 1/4 wave on UHF is about the length of a rubber duck anyway. I have a Kenwood 215-A. which type of connector should I use? I’m not familiar with that model but based on pictures I found on google it looks like it has a BNC connector. Many thanks for the great Hamstudy.org study course – I’ve passed both Tech and General tests with very decent grades thanks to you. Hopefully, you’re out of the hospital by now, the operation was a success, and you’re making a rapid, pain-free recovery. I’ve a couple of Baofengs and a Tyt MD-380. Would I be correct in ordering an SMA F for the Baos and an SMA M for the Tytera DMR? That would be correct on the connector selection! Hang in there, buddy, at least you don’t have “bone spurs”. 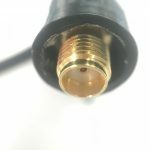 Would it negatively affect the SWR or antenna efficiency to use an adapter to go from a yaesu ft-2dr (which I think takes an SMA male antenna) to a BNC, and then put one of your BNC antennas on it? It is unlikely that would significantly impact things; it’s a very common method. That’s actually why we have those adapters (which if you look are actually nicer than most that you’ll find and very reasonably priced). I have a Kenwood TH-D74. I am wondering about the SWR for the 1.25 meter band? 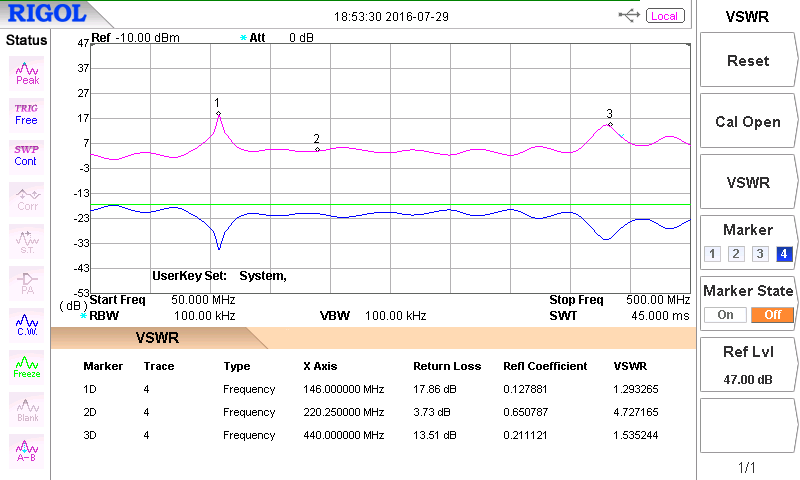 The 220mhz signal stick the SWR should be quite good — I don’t have a chart to show you, but reasonable. The dual band signal stick it’s somewhere around 5:1. see https://signalstuff.com/wp-content/uploads/2016/05/g.png for a SWR chart of the dual band stick.